Jessamyn Stanley tried to avoid falling in love with yoga several times in her life, but the universe had another plan for her. 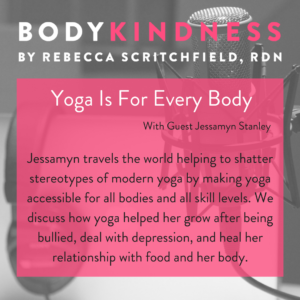 Now Jessamyn travels the world helping to shatter stereotypes of modern yoga (a physical exercise for thin, white women with money) by making yoga accessible for all bodies, all skill levels, and elevating yoga to a practice you do even when you’re not practicing. 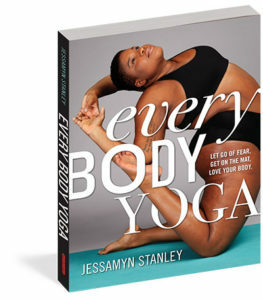 In her new book, Every Body Yoga, Jessamyn blends personal story with a simple home practice anyone can do with minimal funds. I love how she offers asanas you can practice depending on what’s going on in your life – like a series to do when you’re feeling your emotions spiral out of control. Beyond the conversation that yoga is indeed for every body, we also discussed how yoga helped her grow after being bullied in high school, helped her deal with depression, and heal her relationship with food and her body. Get a few sneak peak passages from my favorite parts of the book and then go out and get her book. It’s a gift to all bodies wanting to practice body kindness and experience the gentle, yet powerful impact of yoga. 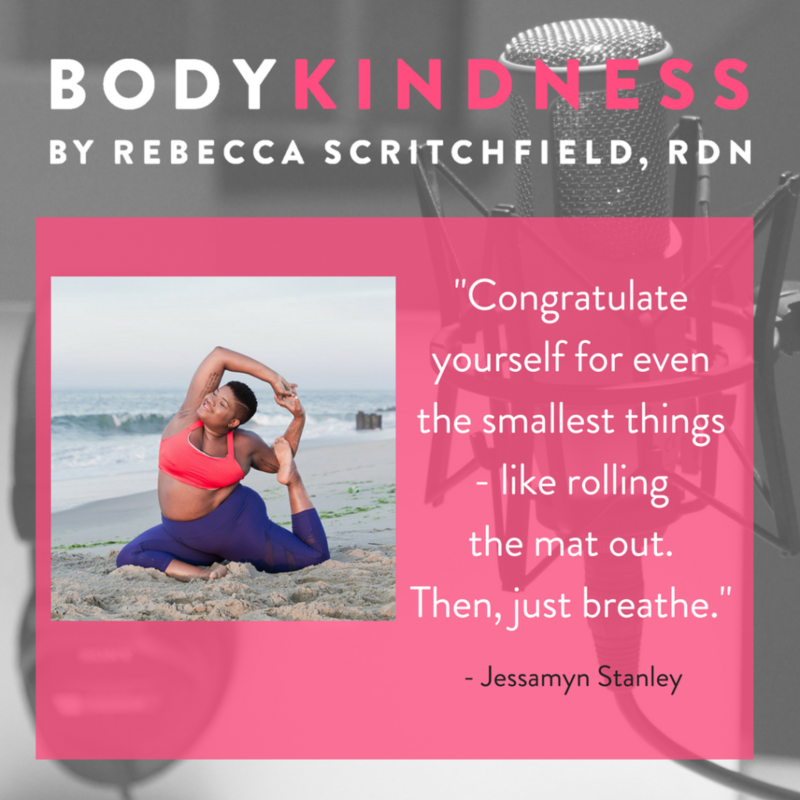 Jessamyn Stanley is the author of Every Body Yoga, as well as an internationally recognized yoga teacher, award-winning Instagram star (@mynameisjessamyn), and body-positive advocate. She has been profiled by a wide range of media, including Good Morning America, TIME, New York, Glamour, Shape, People, Essence, Lenny Letter, and many others. When she’s not on the road teaching, she lives in Durham, North Carolina.